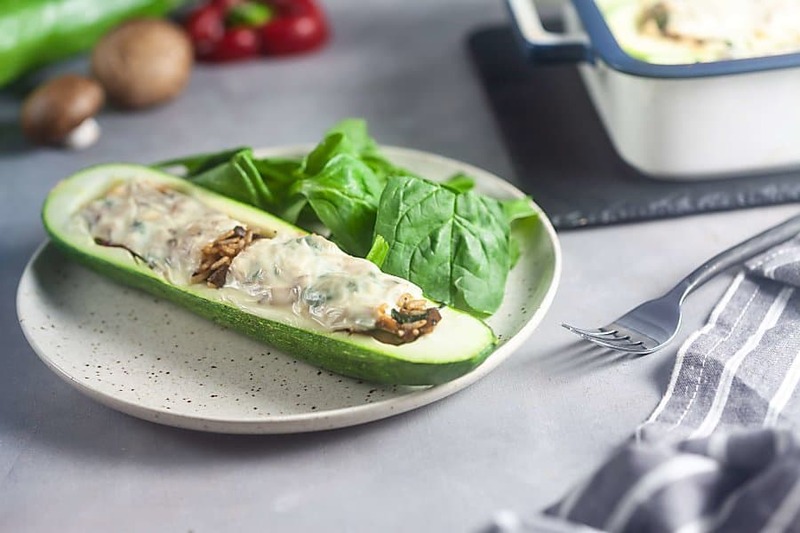 Mushroom-Swiss Zucchini Boats (Gluten Free) | Healthy. Delicious. 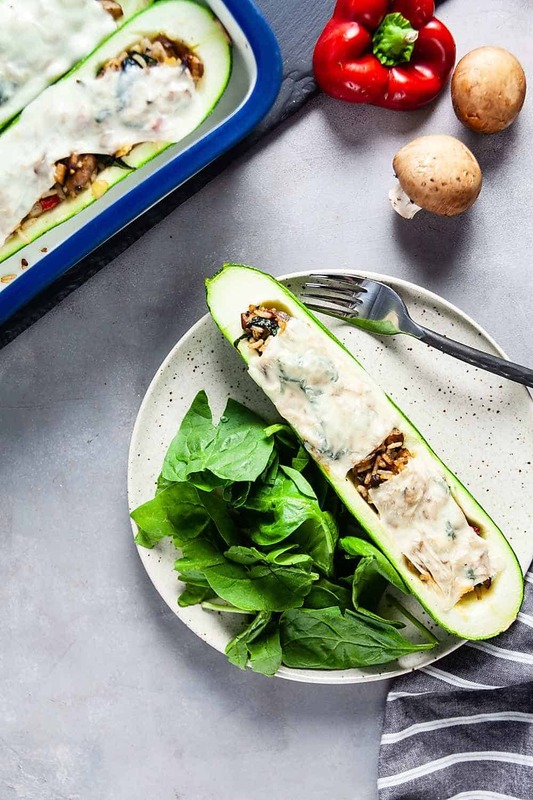 Mushroom-Swiss Zucchini Boats topped with melty lactose-free Swiss cheese make use of the best the season has to offer! 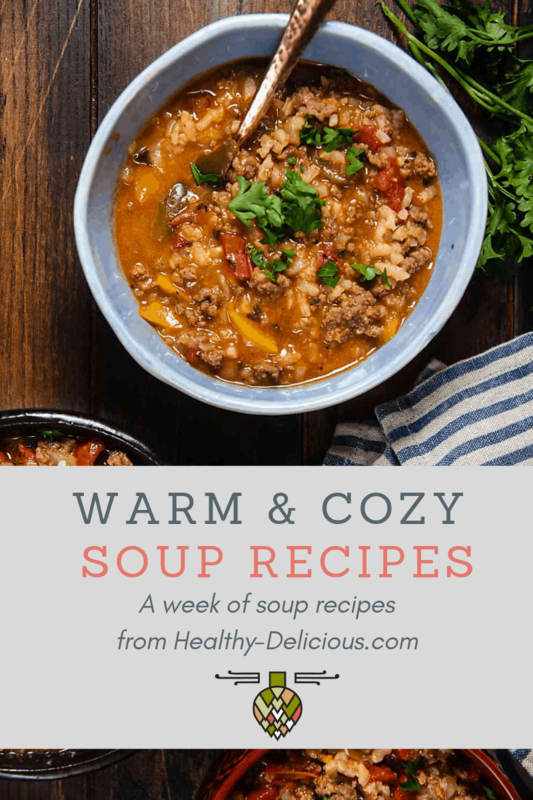 I created this recipe for my client, GO VEGGIE! As always, thank you for supporting the brands that keep me inspired in the kitchen. It’s almost August and you know what that means – tons of zucchini everywhere! If you or a friend has a garden, you probably have more than you know what to do with. You could participate in “national sneak some zucchini into your neighbor’s porch day” on August 8 (yes, it’s a real thing) but, personally, I prefer finding new ways to eat it myself. Zucchini muffins and zoodles are classics that never seem to get old. You can use them in a savory summer vegetable crumble. 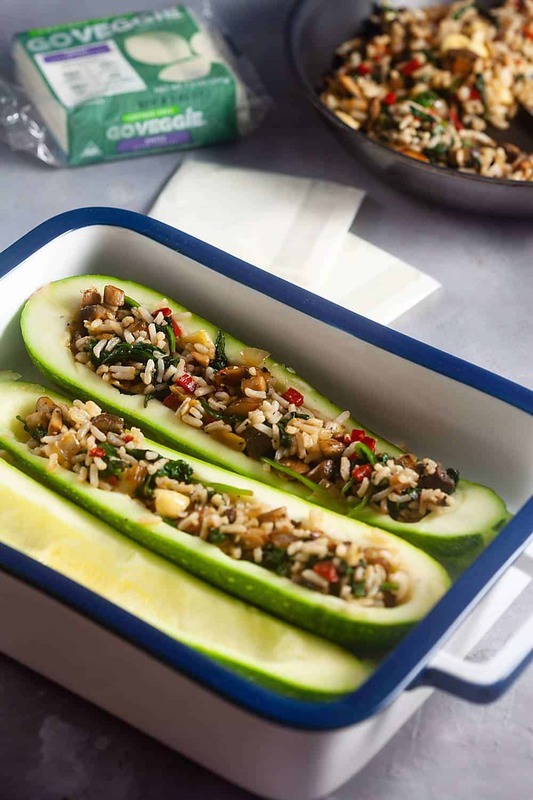 Or you can make zucchini boats filled with yummy fillings – those are always fun! Last weekend, I made these spinach-mushroom zucchini boats smothered with GO VEGGIE lactose free Swiss singles. 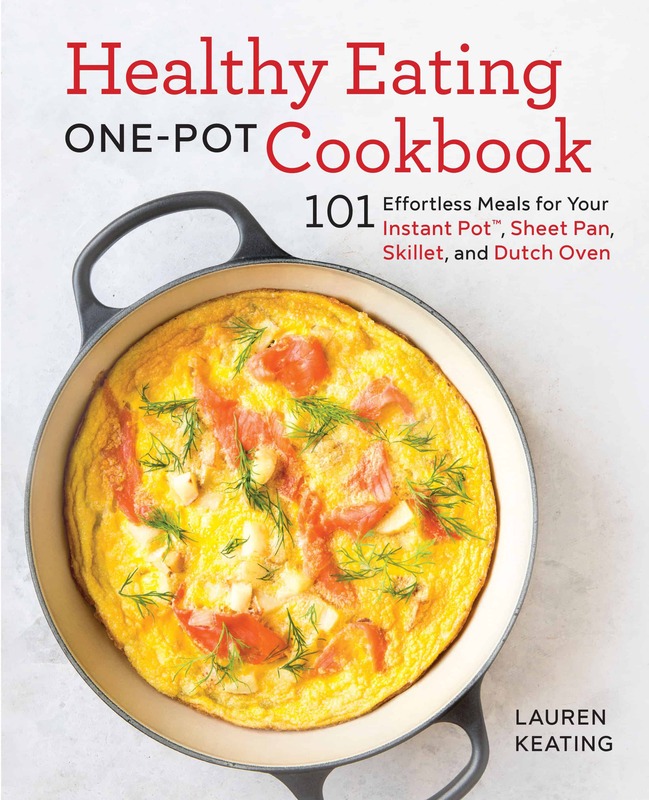 It was an easy recipe that I threw together on a whim – mostly just because I was craving some Swiss – but it was really fresh and flavorful and perfect for summer. You could pair them with a simple salad and treat them as your main course, or serve them as a side dish. Since I really wanted to use Swiss for these zucchini boats, I decided to use mushrooms and spinach in the filling. Mushroom and Swiss is a great combination, but unless you’re putting it on top of a burger, it’s not really one you see too often this time of year. I also added some sauteed onion and red pepper for flavor, along with some of the scooped out zucchini and leftover cooked rice to help bulk it up. I wanted to keep this recipe gluten free, but bread cubes would also be amazing in the filling – it would be more like a stovetop stuffing that way! I stuffed the filling into the zucchini shells, then topped them with GO VEGGIE Swiss before baking them. I love the way GO VEGGIE’s singles melt. Just look how gooey they are! They’re also amazing in grilled cheese. And since they’re lactose free and have only 40 calories per slice you really can’t go wrong! Slice the zucchini in half lengthwise. Use a small spoon to scoop out the center of each zucchini half, leaving a 1/4-inch border. Roughly chop half of the zucchini that you scooped out. Heat the oil in a large skillet set over medium high heat Add the onion and cook 5-6 minutes, or until softened and translucent. Add the mushrooms and red pepper and cook until the mushrooms are deeply browned. Season with salt and pepper. Stir in the chopped zucchini and spinach; stir until the spinach is wilted. Fold in the rice. 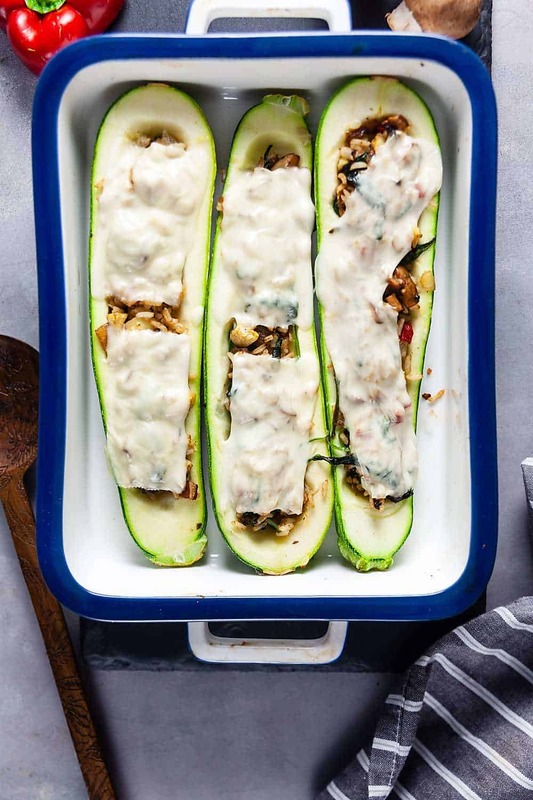 Arrange the zucchini boats on a baking sheet or in a pan. Spoon the filling into the shells, then top with Swiss slices. Bake 20 minutes, or until the zucchini is soft and the cheese is melted.